At VersionEye you can setup a license whitelist to enforce a license policy. For each project there is a PDF Export, which contains the BoM (Bill of Materials). Now the same export is available as CSV as well. The links for the export are in the project detail view in the license tab. The new CSV Export has the same format as the PDF Export. 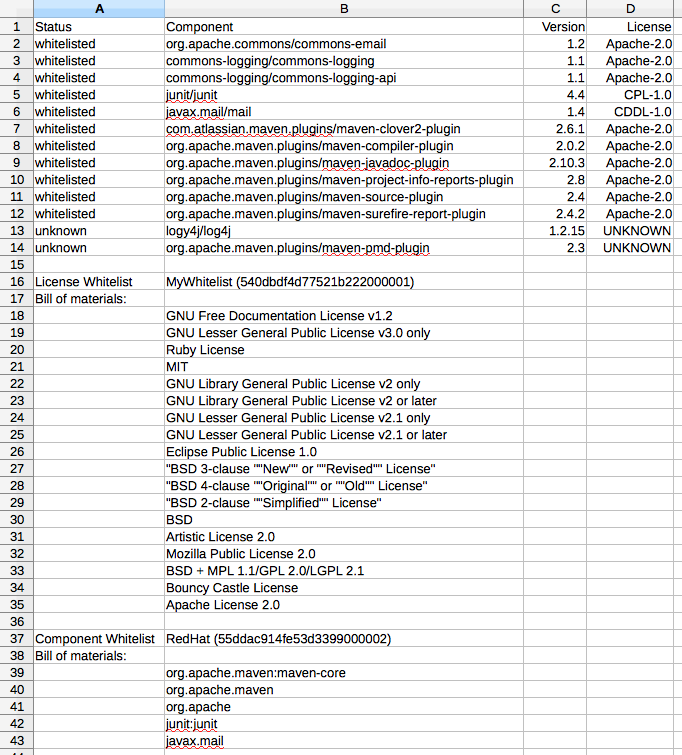 It contains the list of dependencies with the information if they violate the license whitelist or not. Here is a screenshot of an example. 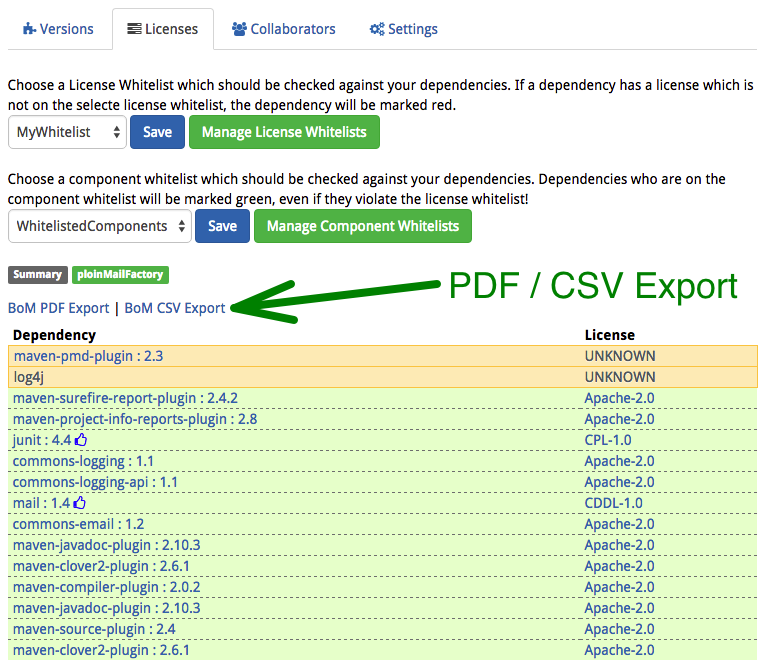 The PDF/CSV Export also contains the current status of the license whitelist and the current status of the assigned component whitelist. That way the exported document is a complete snapshot of the current state of the project, license whitelist and component whitelist. That makes it easy to reproduce why a component is whitelisted or not. Try out the CSV Export and let me know if you have any questions. Either here in the comments or on Twitter.